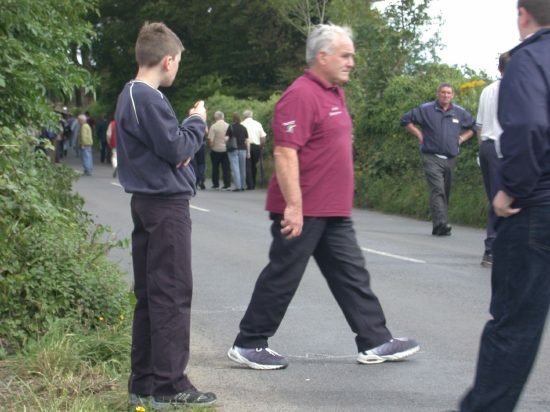 At the All-Ireland Road Bowling Championship 2002 on the Turlough Road. 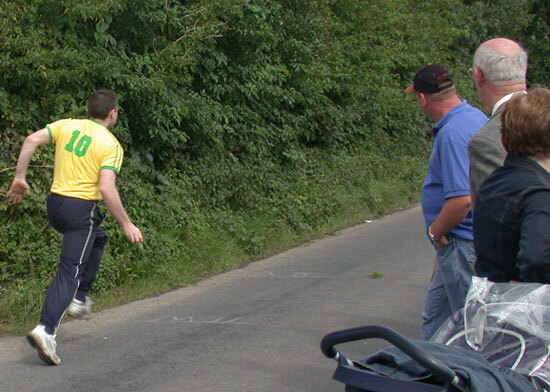 Road bowling (bál fada) is one of the country's oldest games. Join the Mayo Road Bowlers Association as they demonstrate the game. Try your hand at road bowling.